The Harold Pinter Theatre's long season of short plays by the eponymous playwright is finally coming to an end. Before it leaves us there's just one more show (directed by curator Jamie Lloyd), and although things start sleepy, they end with a bang. Each show in the Pinter series has benefited from some big names. 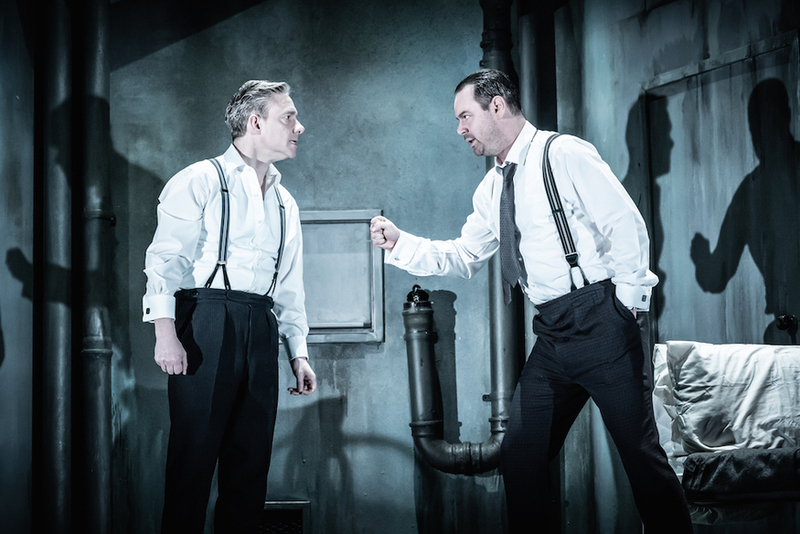 Martin Freeman and Danny Dyer fulfil that role in The Dumb Waiter in Pinter Seven. However, before we get a glimpse of the stars, we have to plough through the seriously unfunny and dull A Slight Ache. 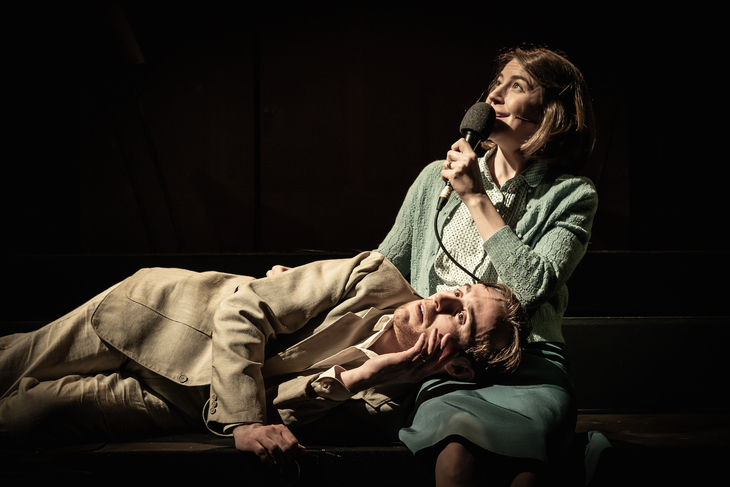 Written as a radio play in 1959, couple Flora (Gemma Whelan) and Edward (John Heffernan) are engrossed in wasp killing until something more menacing threatens to spoil their day — a matchstick seller has turned up right outside their gate and Edward can't fathom why. "We've never seen him sell one box. He's on the wrong road," he fumes. For all the bluster and agony of Edward as the vagrant refuses to give him any answers to his monologues, his rants have no ring of truth. Neat as it looks, Soutra Gilmour's broadcast radio set only makes us feel more detached. If anything, it would be better to close your eyes as we did — pretending it was on the radio — and let the language float over you. Moving on to The Dumb Waiter, things liven up. Rather like the first half but better executed, it's a play about rage, incredulity, suspicion and paranoia that breeds in the space filled by a person when they fail to communicate to us. Gus (Freeman) and Ben (Dyer) are two hitmen waiting in a dank basement for the call to act. As random messages pop from upstairs via the catering chute, calling for scampi, liver and pudding, nerves become more and more frayed. Freeman especially is excellent, his exasperation and fear shining through a gentle soul who probably isn't built for the job of assassination, worrying about who cleans up after them, and placating the dumb waiter with sour milk and crisps. A night of two halves, we loved it and we loathed it, two emotions that Pinter has always inspired.